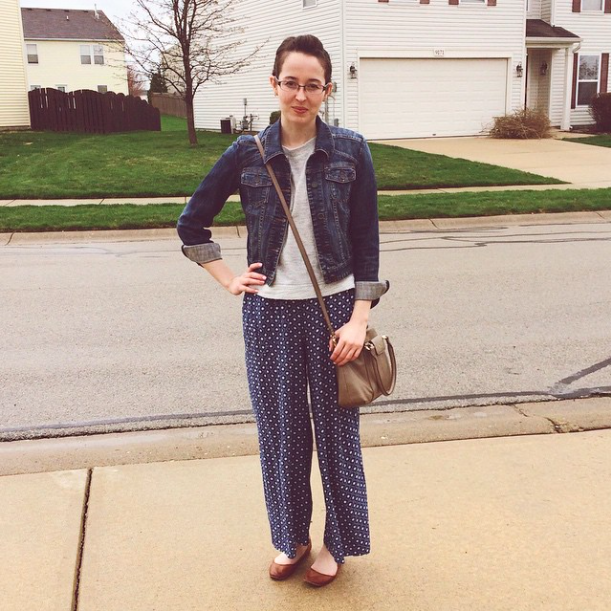 Bramblewood Fashion | Modest Fashion & Beauty Blog: What I Wore | Instagram Outfits for Spring! Hello lovelies! 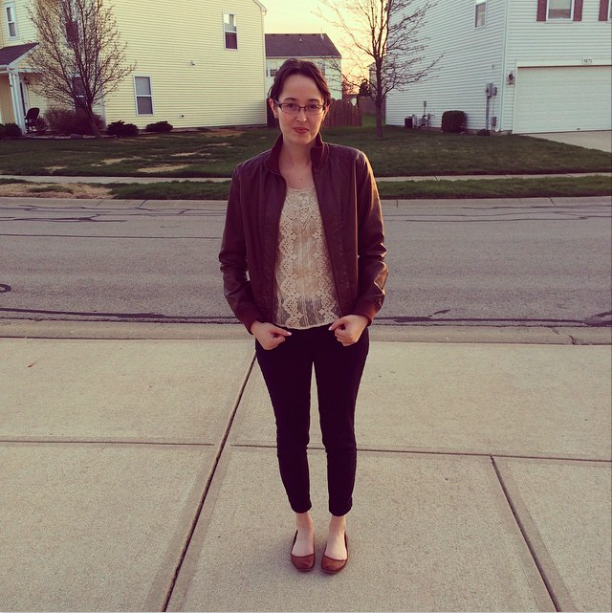 I wanted to share with y'all today some of my outfit pictures that I've been sharing on Instagram this month [and on BF's Facebook Page], since I haven't had much time for photo-shoots this month so far. If you already follow me on either of those social media sites, I'm sorry for the repeats. 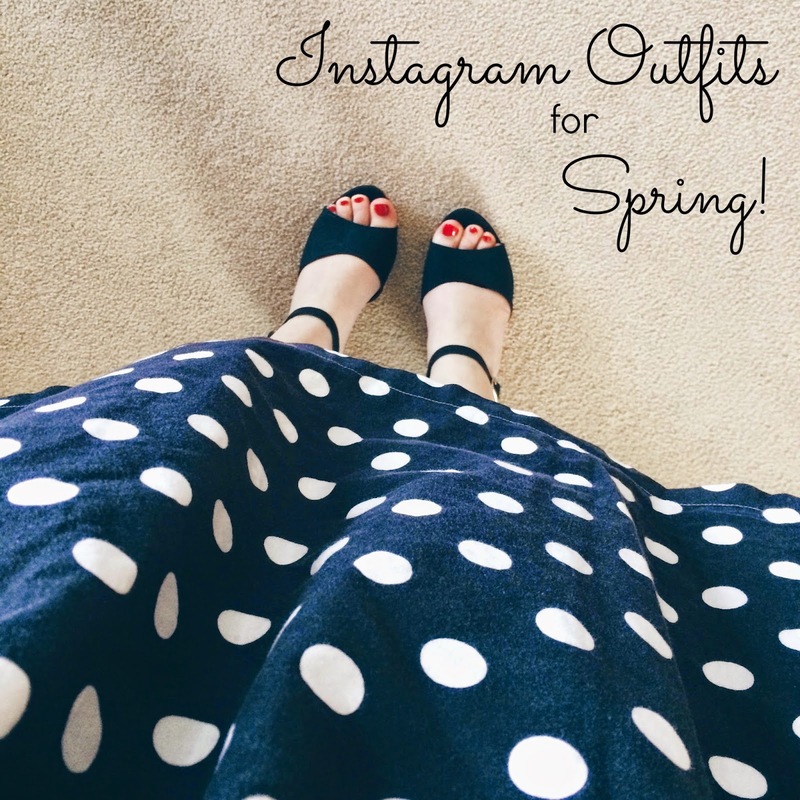 Hopefully I will be able to get some non-iPhone/instagram outfit posts up within the coming weeks. 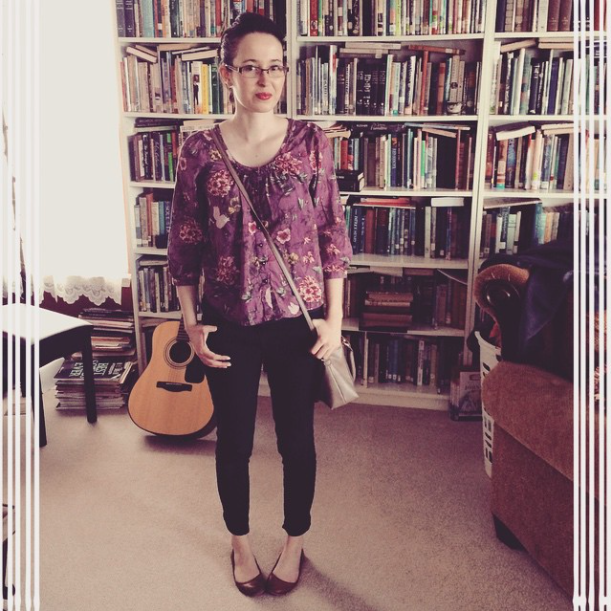 This was my Easter Sunday outfit, and I really liked it. It was comfy, colorful, yet simple. I've been really loving my pops of color this month. 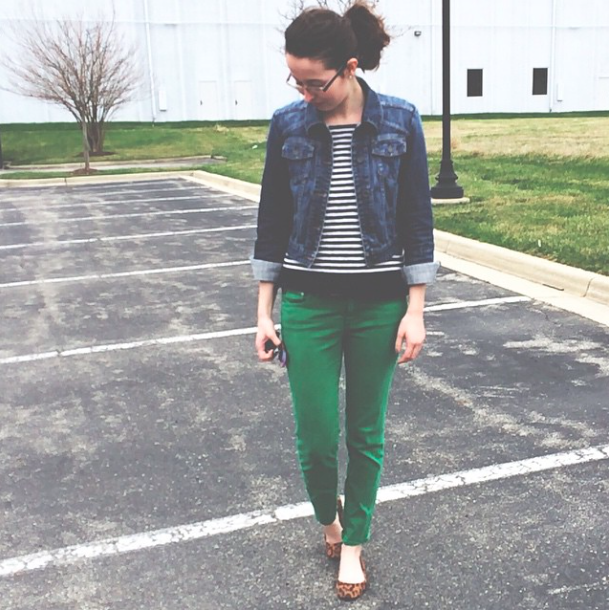 In this outfit I paired navy + kelly green + leopard print = a classic combination. 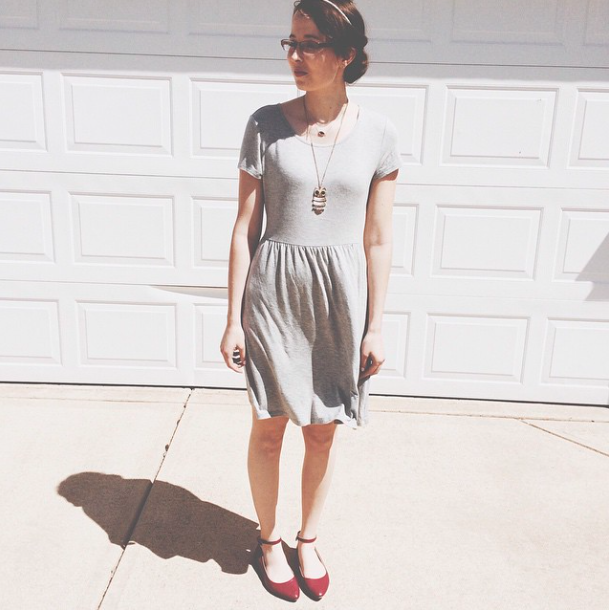 This outfit was super comfy, yet stylish for a day of grocery shopping. 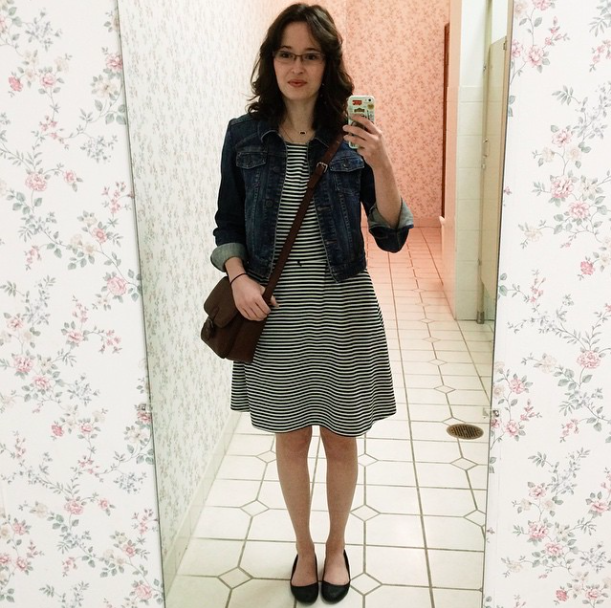 I was feeling a bit trendy when I changed into this outfit after working one morning this month. I've started working on Spring cleaning this month, and one of those days I wore this outfit. I like to wear my Palazzo pants when ever I feel like wearing sweats. 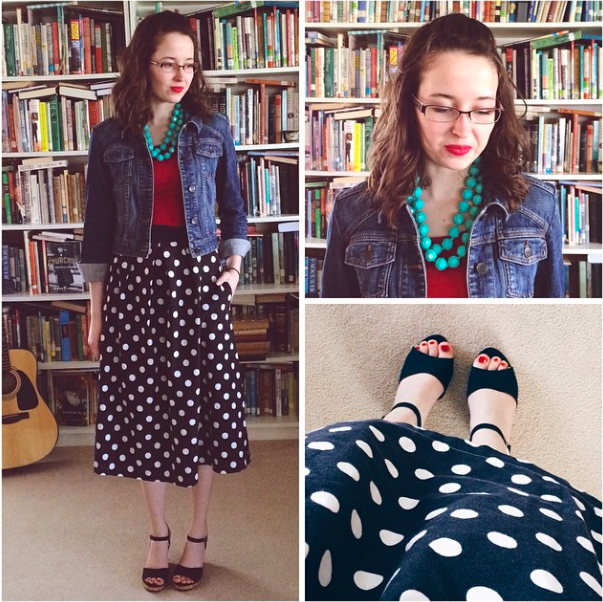 I was super excited to discover that I can fit back into my favorite polka-dots skirt! I used to wear this skirt all the time, until October of 2013 when it no longer fit me. Oh my goodness! 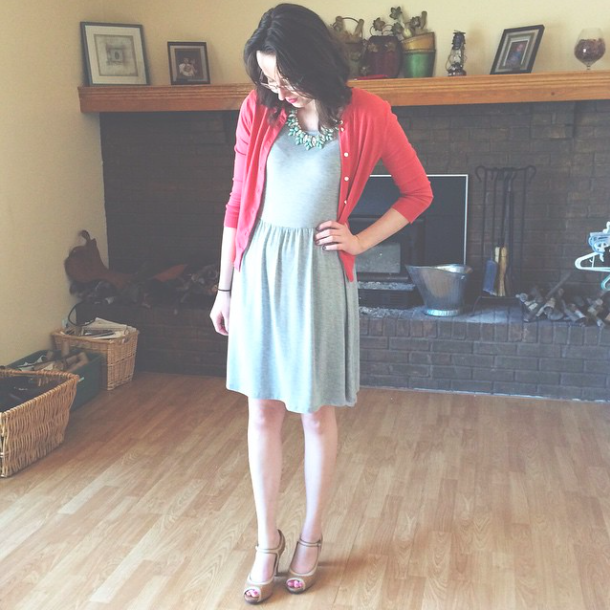 I LOVE that knit Old Navy dress. Did you buy it recently? 1 and 4 were my faves! All your outfits are just so cute! I can tell that you are a stripes and poka-dots girl!